Kick off your visit on the 22nd (Mon): wander the streets of Motomachi and then take your sightseeing to a higher altitude at Mount Hakodate. 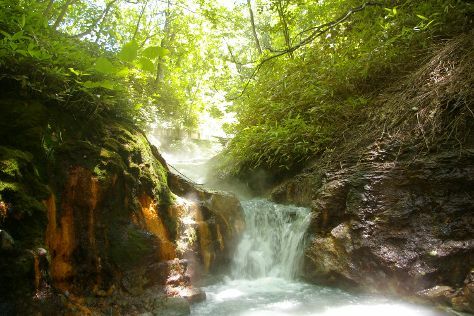 Here are some ideas for day two: explore the wealth of natural beauty at Onuma Quasi-National Park. Use Inspirock's suggestions to plan your Hakodate trip and find the best activities and attractions for your vacation. Kuala Lumpur, Malaysia to Hakodate is an approximately 13.5-hour flight. You can also do a combination of flight and train; or do a combination of bus and flight. Due to the time zone difference, you'll lose 1 hour traveling from Kuala Lumpur to Hakodate. Prepare for cooler weather when traveling from Kuala Lumpur in April: high temperatures in Hakodate hover around 13°C and lows are around 5°C. Cap off your sightseeing on the 23rd (Tue) early enough to go by car to Kutchan-cho. Kutchan-cho's reputation rests on two things: skiing and potatoes. Escape the urban bustle at Hanazono Niseko Resort and White Isle Niseko. You'll discover tucked-away gems like Niseko Outdoor Center and Kakizaki Shoten. There's more to do: hit the slopes at Niseko Mountain Resort Grand Hirafu Ski Place and take in nature's colorful creations at Mishima's Shibazakura Garden. To find reviews, photos, ratings, and other tourist information, go to the Kutchan-cho day trip tool . You can drive from Hakodate to Kutchan-cho in 2.5 hours. Alternatively, you can take a train; or do a combination of bus and train. While traveling from Hakodate, expect slightly colder days and about the same nights in Kutchan-cho, ranging from highs of 9°C to lows of 7°C. Finish up your sightseeing early on the 26th (Fri) so you can go by car to Noboribetsu. On the 27th (Sat), take in the natural beauty of Oyunumagawa Natural Footbath and then take some stellar pictures from Tokkarisho Lookout. To see more things to do, reviews, maps, and more tourist information, read our Noboribetsu tour builder tool . You can drive from Kutchan-cho to Noboribetsu in 1.5 hours. Other options are to take a train; or take a bus. Traveling from Kutchan-cho in April, plan for little chillier nights in Noboribetsu, with lows around 3°C. 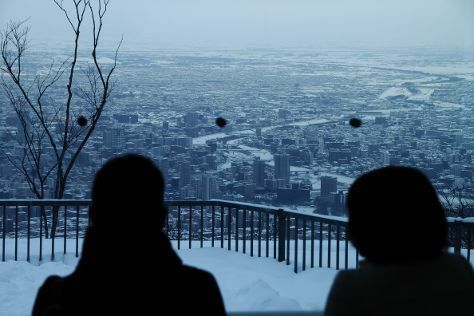 Wrap up your sightseeing on the 27th (Sat) early enough to drive to Sapporo. Keep things going the next day: look for all kinds of wild species at Earth Dream Kakuyama Farm, then wander the streets of Susukino, and then contemplate the waterfront views at Otaru Canal. To see reviews, more things to do, and other tourist information, refer to the Sapporo road trip planner. Drive from Noboribetsu to Sapporo in 1.5 hours. Alternatively, you can take a train; or take a bus. When traveling from Noboribetsu in April, plan for a bit cooler days and about the same nights in Sapporo: temperatures range from 9°C by day to 7°C at night. You'll have a few hours on the 30th (Tue) to wrap things up before traveling to Daisetsuzan National Park. The largest national park in the country, Daisetsuzan National Park showcases the terrain and natural features of Hokkaido's mountainous central region. You've now added Shikaribetsu Lake to your itinerary. On the 30th (Tue), explore the activities along Blue Pond. On the next day, take your sightseeing to a higher altitude at Kurodake and then contemplate the waterfront views at Shikaribetsu Lake. To see reviews, traveler tips, where to stay, and tourist information, read Daisetsuzan National Park trip planner . 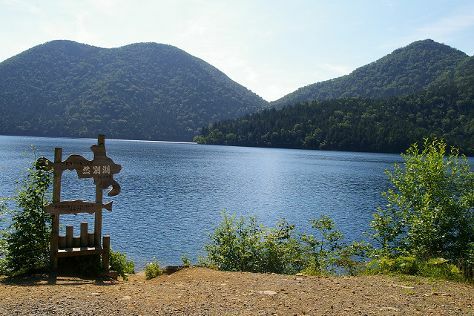 Getting from Sapporo to Daisetsuzan National Park by car takes about 3.5 hours. Expect a bit cooler evenings in Daisetsuzan National Park when traveling from Sapporo in April, with lows around 2°C. You will leave for home on the 2nd (Thu).